Kung fu has a long tradition of being handed down within families. On one hand, it must be exceedingly difficult to raise willing and able children-disciples generation after generation and through times of peace and war. 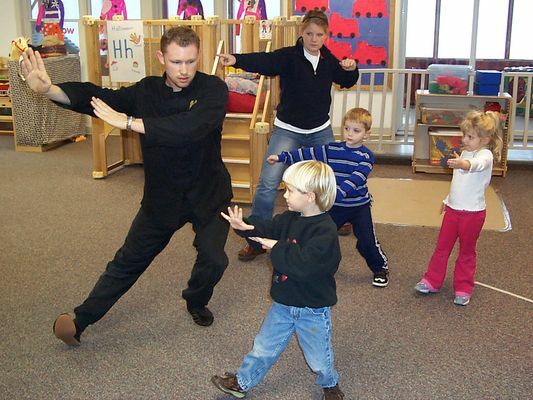 On the other hand, only through the intensive tutelage afforded by a parent-child relationship could the more advanced aspects of kung fu can be taught. In this interesting clip, a father demonstrates iron-body skills on his sons/grandsons/juniors. No parlour pull-back-on-hitting tricks here; senior really follows through with his strikes. how do you know they have any connection to martial arts?